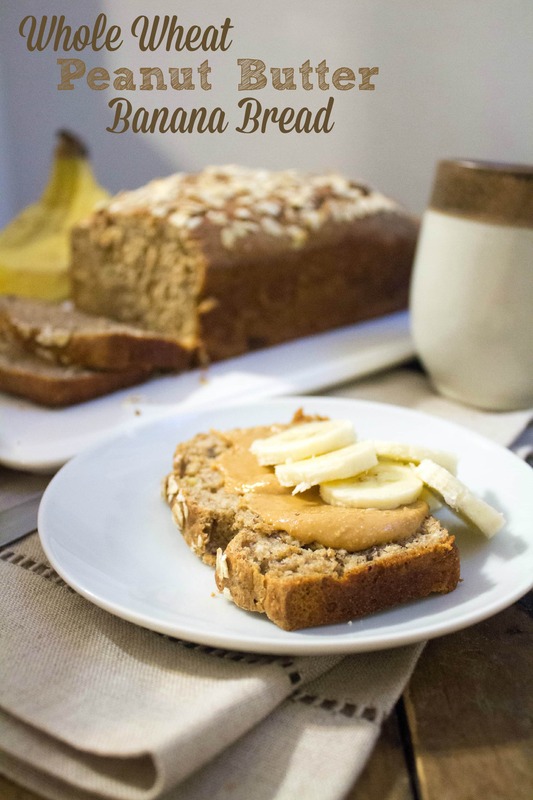 This delicious Whole Wheat Peanut Butter Banana Bread is 100% whole wheat, low sugar, made without oil or butter, and full of all sorts of nutritious and delicious ingredients. In two separate bowls, mix dry, then wet, and then combine, adding wet to dry and stirring gently until the mixture is uniform-ish. Pour mixture into a non-stick or cooking sprayed bread/loaf pan (mine is 9×5) and sprinkle oats on top to make it look pretty. This looks unreal and pretty easy to make! I made a sort f similar breakfasty bread with Whole Wheat Flour! I love baking with Whole Wheat Flour as opposed to all purpose because it tastes so much more filling! I’m sorry to hear that! I’d try larger bananas – and make sure they are VERY ripe. What kind of creamy peanut butter do you like to use for this recipe, a coarser, “natural” style that has to be stirred before use, or a smoother, more finely processed version? Just made this! Smells delicious. I made it with fresh peanut butter straight outta the food processor. We shall see how it turned out! Is there something that can be subtituted for flax seeds ? You can just leave them out! I don’t usually bake but I made this bread and it was delicious!! I am so proud of myself…LOL!! Thanks so much for the recipe! My co-workers loved it also!!! I just baked this and it was deeelicious! 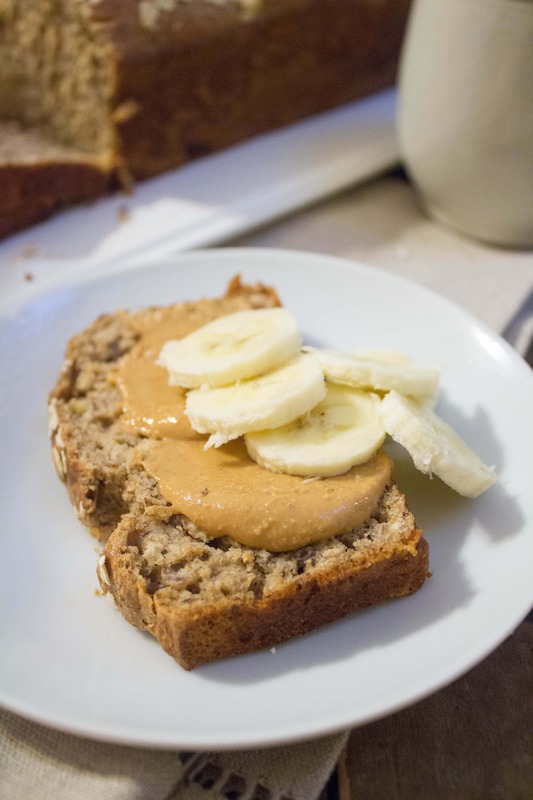 So happy i could use whole wheat flour and the super ripe bananas on my counter. I threw in 1/2 a cup of chocolate chips and it was so great. Thanks for the recipe!! Is the 350 in Fahrenheit or Degrees C? As it’s American I’m assuming F? I did it at 175C. Came out perfect. Gorgeous recipe. Thank you! Can you substitute non-dairy milk? If so, which one works best? Sure! Almond milk should work well. You could use vanilla or plain. What can you do in place of the eggs to make it vegan? Try a flax egg – just google it for instructions!